As Greenpeace India struggles to stay afloat, the real reason why the government wants to shut down the global environmental NGO hasn’t got much attention: Coal, the single biggest source of primary energy in India, is at the heart of the Narendra Modi government’s ambitious plans to ramp up industrial production in the country. A total of 1,199 new coal-based thermal power plants with a total installed capacity of more than 1.4 million MW proposed worldwide, the lion’s share—455 plants—are in India, according to data from the World Resources Institute. 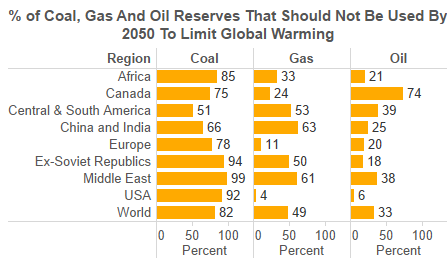 India is overwhelmingly dependent on fossil fuels—coal, oil and gas—which meet more than three fourths of the country’s energy needs, despite Modi’s plans to promotealternative energy sources. Of the fossil fuels, oil and gas account for just about 30% of India’s energy needs, the bulk imported (80% in the case of crude oil). 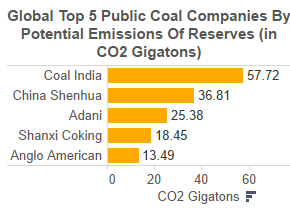 India has abundant reserves of coal, the fourth-largest in the world. 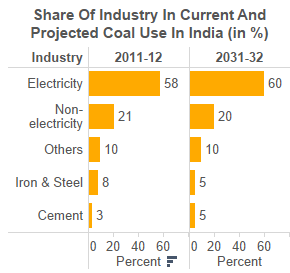 Coal meets 54.5% of India’s energy needs, and 61.5% of the installed power generation capacity, and plays a key role in industries like steel and cement. India is set to more than double its coal consumption by 2035 and become the world’s largest coal importer by around 2020, according to the International Energy Agency. The cheapest of fossil fuels, coal is also the most polluting in terms of carbon emissions. Coal-burning power plants are the single biggest cause of climate change, way ahead of the burning of petroleum in transportation. Greenpeace has been at the forefront of a global campaign against coal mining and burning, and its Indian wing has mounted several high-visibility campaigns against coal-burning thermal power plants and coal mining in forest areas. 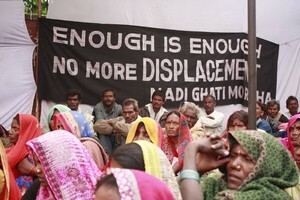 Especially irksome to the government must have been Greenpeace’s targeting of two domestic entities that are also major global players in coal—public-sector company Coal India, India’s 5th most valuable company by market capitalisation at $35.9 billion (Rs 2.3 lakh crore) and the Gujarat-based Adani Group, whose promoter Gautam Adani is known to have a close relationship with Modi. Coal India is number one, and the Adani Group number three on the list of the top 200 coal companies globally ranked by the potential carbon emissions content of their reported reserves, according to Fossil Free Indexes, a stock market index that promotes ethical investing. Greenpeace has campaigned against both companies, exposing their claims on reserves and financial health, and documenting environmental and other violations. Greenpeace’s Australia chapter has opposed Adani’s plans to develop the world’s largest coal deposit, the Carmichael mine in Queensland, which it acquired for 16.5 billion dollars. Companies like Coal India and Adani are expected to play a vital role in the Modi government’s grand plan for India to take over from China as the new ‘factory of the world’. With GDP growth dipping to 7% for the first quarter of 2015 (the lowest since 2009), China is clearly slowing down. 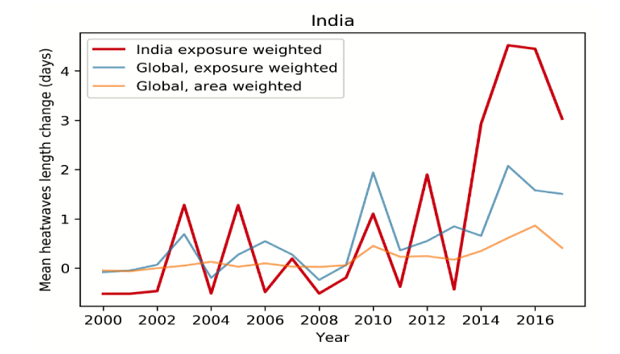 India seems intent on capitalising on this slowdown and the new-found limits on growth imposed by environmental and health concerns in China. The first signs that the Modi government is pushing for a Chinese-style industrialisation project came when it announced a clutch of mega projects under the Make-In-India initiative. Work is under way on the most ambitious of these projects, the Delhi-Mumbai Industrial Corridor, across six states, to be built at an estimated cost of $100 billion. For the government, one of the chief obstacles in this path is land acquisition, which is being tackled through amendments to the existing legislation. The other big hurdle is energy, in which coal will continue to play the biggest part–and this is at the core of its grouse with organisations such as Greenpeace. The burning of fossil fuels—coal, oil and gas, in that order—releases massive amounts of carbon into the atmosphere, and has been proven to be the biggest culprit behind climate change. With carbon-dioxide levels at record highs—as IndiaSpend reported—only a fraction of the known extractable fossil fuel reserves, least of all, coal, can be burned without endangering the world’s future, the reason why campaigners like Greenpeace are dead set against the fuel. But for the Modi government, and India’s elites and middle classes in general, this would amount to the big prize being snatched away from sniffing distance. That’s why the shots fired against Greenpeace may be only the first in the long, bruising battle ahead.